Happy Mother’s Day to the World’s Okayest Mom! Do you leave your kids in the car while you run in to the liquor store to get lottery tickets and Smirnoff Ice? Do you take money out of your kid’s piggy bank to get a pack of cigarettes? Do you use “child support” money to buy a new dress? When you order a Happy Meal for your kid, do you keep the toy? If you said yes to any of those, then you might be considered an OKAY Mom. An OK mom is…just ok. Not the best, not the greatest, but just OK. Does that make you any less of a mom than the ones who bake cupcakes for their kid’s class or volunteers at the school or the kind that is on the PTA; yeah it does. Let’s be honest here, not everyone can become a great mom and being OK might be what you were predestined for. 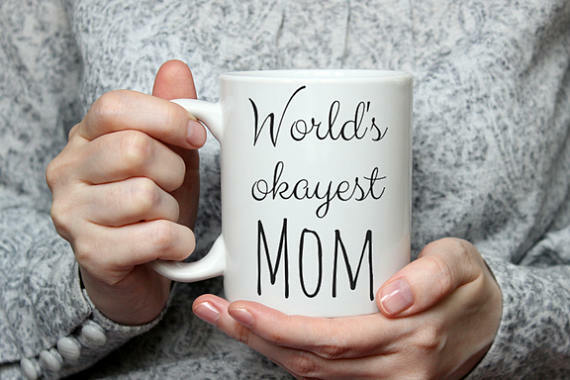 Hey that’s not bad because you can still celebrate being a mom with some coffee. Maybe your mediocre kids can make you breakfast in bed that consists of some Eggo Waffles and a cup of your favorite coffee from It’s a Grind Coffee House.